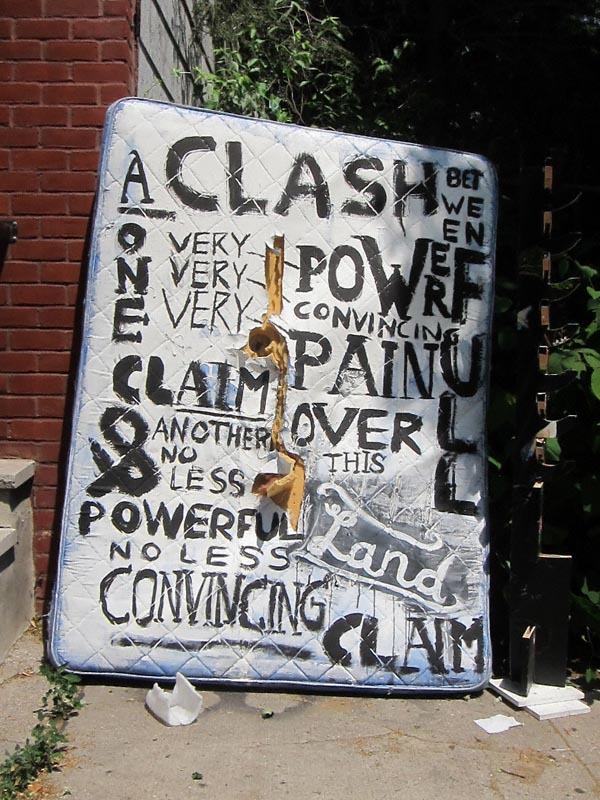 a mattress with a message! Exactly what the message is anyone’s guess. However, cases such as this are the reason why I have categories such as “culture war”, “feral furniture” and “advanced life forms” on this site. I have no doubt at least one of the previous is applicable.